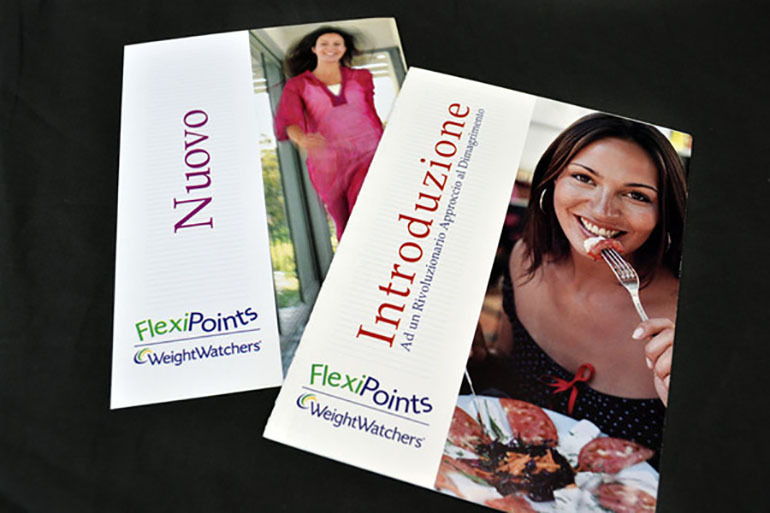 In order to promote the new Flex Points program in Italy, I designed to promotional pieces that promoted the program. My goal was to create a feeling that the new program would be easy and still allow people to enjoy the foods they love. 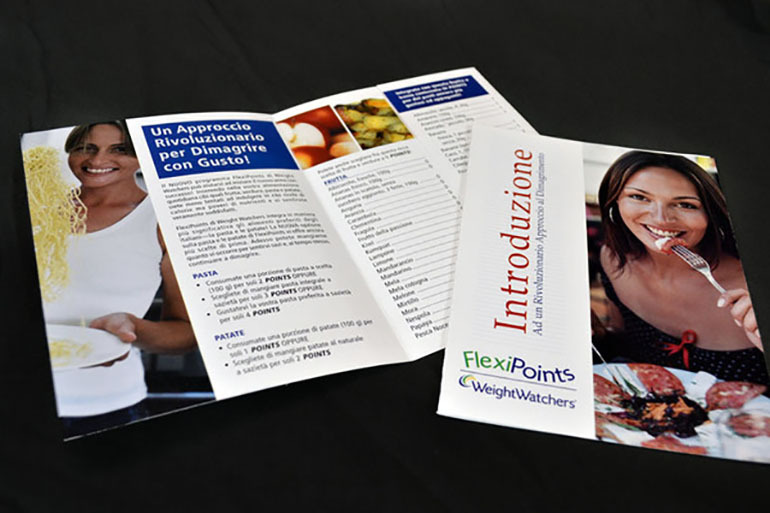 Some basic nutritional information was provided to give potential members an idea of what they could eat on the program. 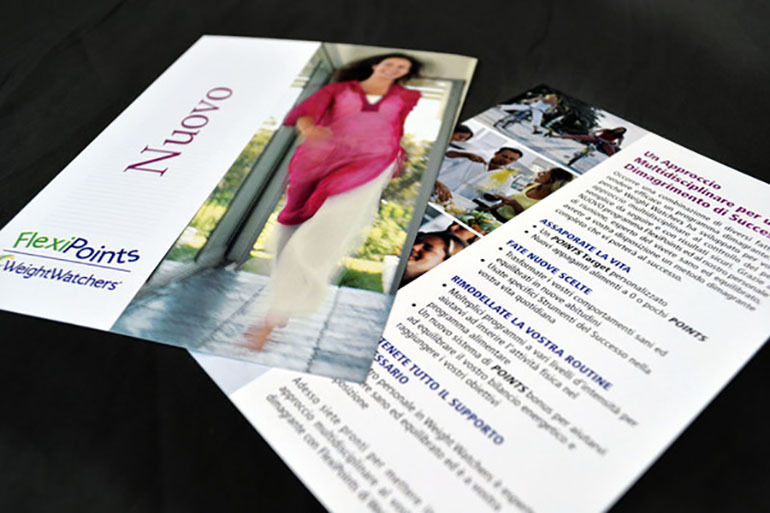 I do not speak Italian, but worked with the staff to get the text in the correct places and to choose imagery appropriate to their sensibilities.